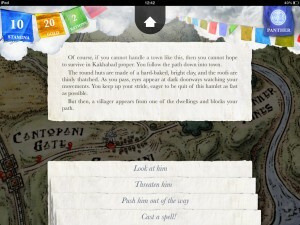 inkle blog - Sorcery screenshots! For the look and feel of the app, we've been keeping to Frankenstein's strong material aesthetic, with fabrics, photographs and shadows. But we've been looking abroad, to Nepalese, Tibetan and Indonesian influences, to get the look and feel right. The background for the inventory page, for instance, is a Vietnamese national dress, an ao dai, photographed at super-high-res. Sorcery! was originally inspired by Steve Jackson's visits to Nepal and that mixture of Western fantasy and Eastern flavour is part of what made the books so special. Those of you have seen Frankenstein will recognise the main reading interface, of course; we've kept the flow of slips being stitched together, although the look is now canvas and string. But there's also now a persistent UI showing the core resources the player will need to husband on their long four-book journey: their stamina, wealth and provisions. 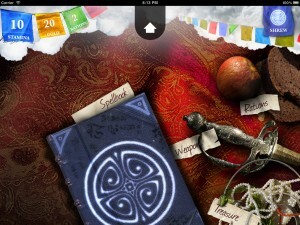 There's one other detail up it the top right: the player's animal Spirit Guide, who's taking over the role of Libra, Goddess of Freedom from the original books. Your Spirit can be prayed to receive aid: but the nature of the Spirit also changes as you read, to reflect the kind of character you are. In Sorcery! we don't have one single good/bad spectrum to rate how you play: we measure six different qualities, from your bravery to your empathy, from your nobility to your recklessness, to allow you to mould your character and your experience as you play. 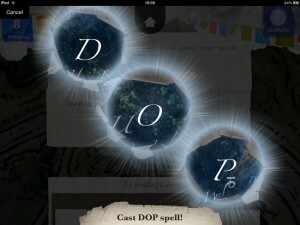 Sorcery! 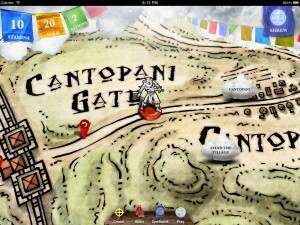 is part-gamebook, part table-top RPG.